Now more than ever, people are craving a space, place or even a second home to slow down and enjoy the moment with family and friends. The owners of an authentic, handcrafted, Indiana log cabin on the Ohio River reached out to Polish Interiors for design services and, together, they created a warm, welcoming vacation home for all to enjoy. TEXTURE – Layer up! Between soft blankets or smooth leathers, an array of textiles and handcrafted finishes create an element of comfort for all guests. 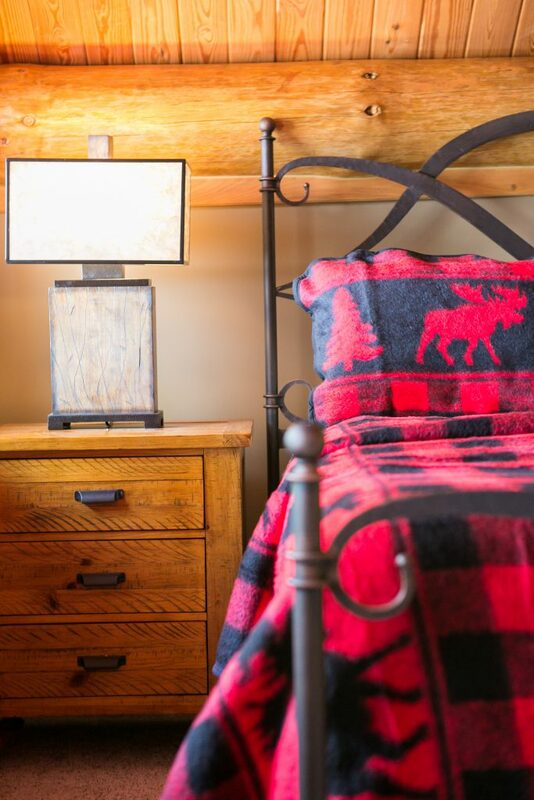 This luxury log cabin had the bones of authentic logs, beams and wood, making the second and third layers of cowhide rugs, custom artwork, buffalo check bedding and gnarled-wood lamps a cohesive package for this rustic lodge. FLOOR PLAN – There’s a time and space for division, but keep the common areas open. This encourages interaction between guests and ensures a flawless view out each window. FURNITURE – Interior or exterior – make sure the furniture is comfortable, larger in scale, accommodating to multiple people and positioned to take advantage of all the views. One of Polish Interior’s favorite pieces from this project is the 10-person wood topped dining table overlooking the scenic river valley. 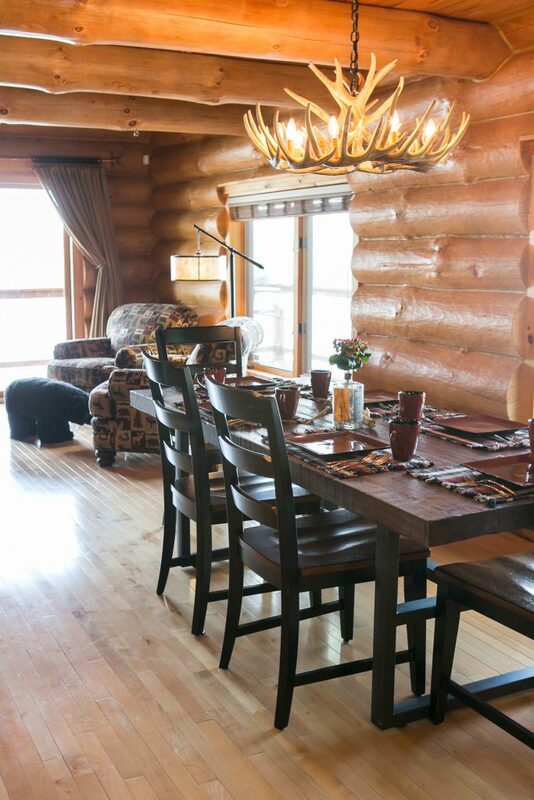 For more information on how you can take advantage of this luxury log cabin, visit vrbo.com/855487 or follow Big Timber on Instagram @big_timber_river_cabin. Looking for collaborative design services on your next vacation home? Call your local interior design firm, Polish Interior and Art Design.